With the New Year here, it’s time to get those resolutions underway. Traditionally a time to set personal goals, what better way to begin next year than by planning adventures, pledging to help others, and learning new dive skills? Here are our top 10 diver resolutions for the New Year. The festive holidays are a great time of year to step back and go through dive kit, checking everything is in working order. 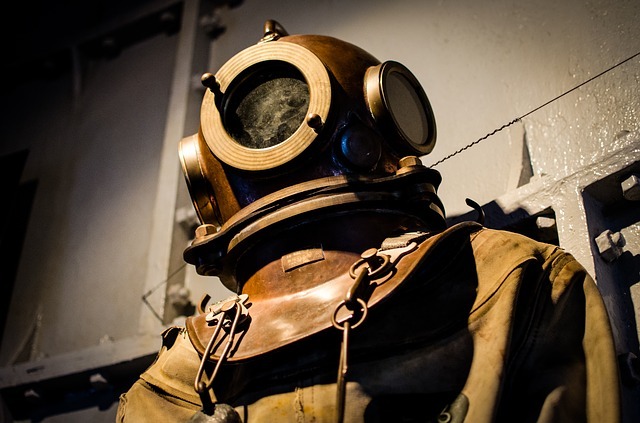 Equipment services can be scheduled in a calendar for the coming year, and divers can create a kit of spare parts for new adventures, such as O-rings and mask/fin straps. It’s also a good time of year to keep an eye open for festive sales and upgrade old equipment at bargain prices. There is always something new to learn as divers and PADI has a broad range of Speciality Diver courses to enjoy. Two of the most useful for improving dive skills as a new diver are the Dry Suit Diver and Peak Performance Buoyancy specialities. Those looking for something a little different, and a dive holiday, can do a Coral First Aid speciality in the Dominican Republic or the Mola Mola Diver course in Bali. To get the most out of diving, and to enjoy more challenging dives, it’s worth investing in a good level of scuba fitness. Swimming regularly, especially ocean swimming, will help build stamina and also confidence for open-water dives. Yoga is great for improving breathing techniques, both on land and underwater, whilst Pilates builds a strong core to support divers carrying their own gear. It also helps prevent back injuries, keeping divers active and hopefully injury-free all year. 4. Practice, practice, practice those scuba skills! 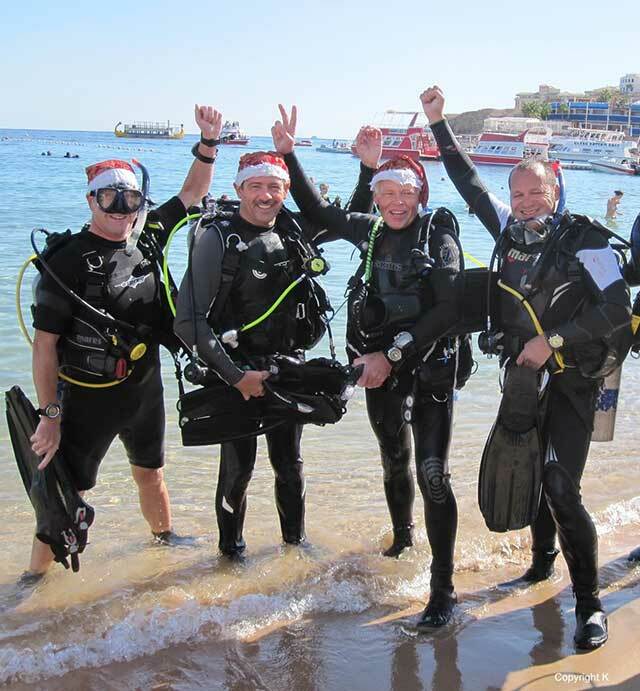 For divers in the middle of winter at New Year, it’s still a great time to practice those dive skills. Get to know local dive clubs and spend time in a swimming pool honing dive techniques, whilst making new friends for the coming dive season. As with any sport, muscle memory is key and can improve dive safety in an emergency when quick and calm reactions are required. Blue Mind, a book by Wallace J Nichols, explains how being near, in, on, or under water can make us happier, healthier, more connected and better at what we do. We can’t always be in the water, but we can cultivate that sense of calm with regular meditation. Why not combine that with a commitment to spend more time by (or preferable in) water whenever possible. Meditation is not only good for finding inner-peace, it’s also a great tool for anxious divers overcoming dive-related fears and for improving breathing techniques for great buoyancy. One of the best dive courses for improving confidence, having fun, and learning how to help others is the PADI Rescue Diver. The PADI Adaptive Support Diver is great for learning how to support a dive buddy with physical or mental challenges. For those looking for a more challenging and in-depth course, the Public Safety Diver provides an opportunity to learn about working within a scuba diving rescue team. With environmental awareness constantly increasing, there are plenty of charities and volunteer groups to join. Divers can participate in Project AWARE Dives Against Debris in numerous countries, organise local beach cleans, or create underwater clean-ups to remove ghost fishing nets and plastic waste at local dive sites. Every little bit helps. Every diver has their favourite dive sites and type of diving. A good way to improve dive skills is to set a challenge to try new types of diving in the coming year; be that deep dives, drift dives, or open-ocean dives to master depth and orientation in the big blue. Fans of cold-water diving can join Antarctica liveaboard diving expeditions and try polar-water diving. There is a wealth of dive types to choose from, for all abilities, and in world-class destinations around the globe. Divers looking for a new destination off the beaten track should consider Myanmar. It has only recently been opened to tourists and the Mergui Archipelago has pristine, unexplored dive sites only accessible by Myanmar liveaboard diving. Red Sea divers can enjoy quieter scuba diving in Djibouti, and those looking for a challenge can dive Scoresby Sund in Greenland. It is the largest and deepest Fjord system in the world and is great for whales and icebergs. The dive community is known for being sociable and welcoming; a great place to make new friends. Committing to just a few of the dive resolutions above is bound to result in new adventures, new friendships, and potentially a dive buddy for life.